While a person may have multiple residences, a person can only have one domicile at any given time. 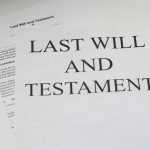 The last domicile of the deceased will establish the law applicable to the succession of movables (failing a choice of law by the testator) and the law applicable to the whole of the succession by the designation of the law by the testator at the moment of his death or at the moment which the will was composed. The last domicile of the deceased will also establish the international competence of Quebec’s court with respect to immovables situated outside Quebec. It must be remembered that a Quebec court may be called to apply the law of a foreign jurisdiction in order to adjudicate the matter. The law applicable and the competence of the tribunal being two distinct issues, each with their respective rules. 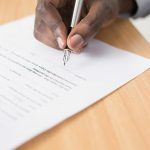 The notion of domicile is not defined in the CCQ. However, it is possible to extrapolate its meaning from a reading of Article 75 and 76 of the CCQ which states that the domicile of a person is the place of his principal establishment, and that in order to change the principal establishment, there needs to be an element of intention to have this place as the principal establishment. Address used in declarations and important documents with respect to his domicile and residence. Jane is a Montreal resident who worked for the city for over 30 years. She met John online, who lives in Germany, and decided to visit him. Things went well, and she decided to extend her stay and therefore rented a place with the intention of coming back to Montreal after a few months. However, she soon fell ill and passed away in Germany. Where is Jane’s domicile and which law governs her succession? Although Jane leased an apartment in Germany where she passed away, her domicile remained in Montreal as she had no intention of making Germany her new domicile. Therefore, Jane’s succession opened in Quebec as per Art. 613CCQ, and the laws of Quebec with respect to successions will apply. 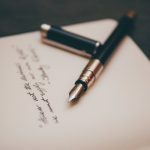 Il convient également de rappeler que la notion de domicile peut varier en fonction du droit applicable. Par exemple, certains pays exigeront une preuve d’intention à rédiger pour changer de domicile alors qu’une telle preuve n’est pas requise au Québec. Jeffrey A. Talpis, “Cauchemars rencontrés dans la liquidation d’une succession internationale” (2005) Cours de perfectionnement du notariat, Chambres des notaires du quebec, EYB2005CPN10 at p.6.